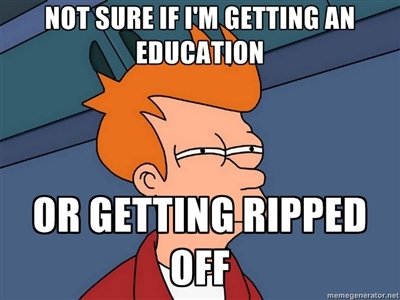 A couple hundred years ago, higher education was not something that could be sought by anyone. Only rich white males could ever hope to continue on in academia past basic literacy and arithmetic. Fortunately this is no longer the case. Now, people from all backgrounds can attend through grade 12 for free and can apply to colleges via need-blind application processes that assure a more level playing field for those seeking traditional higher education. But even now, there are those that think higher education should abandon the brick and mortar edifices that have housed great libraries for centuries. They suggest that knowledge could be disseminated much more efficiently through technological means, and with the price of an elite Yale education currently sitting at $200,000 (and rising quickly), I have to admit that I agree with them. The Access to Knowledge (A2K) movement is a recent movement that has sought to reform the way people think about education. According to its proponents, education is not something that should be denied to anyone. In fact, it’s put on the same level of importance as justice and freedom, and with education‘s profound effect on the economic development of a country, this seems reasonable. After all, if a developing country is dependent on foreign aid for educated reformers and leaders, then how can the country hope to become self-sustaining? Some pretty high profile universities are jumping on this A2K bandwagon, and the results are pretty astounding. MIT OpenCourseWare was launched in 2002, yet already has over 2000 courses online, 46 of which have complete video lecture series. These courses have been visited over 146 million times by more than 104 million viewers worldwide. Yale followed suit in 2007 launching Open Yale Courses with 7 full video lecture series. Since then the library of video lectures has grown to include 42 courses and is still rapidly expanding. Other programs that aren’t linked to universities include Khan Academy, which boasts a large collection of over 3600 videos explaining high school and college topics. With the vast amount of resource online, many people are now seeking some sort of proof that they have completed online courses. Many users want some sort of certificate that they can show to potential employers to show that they have mastered certain material and others seek credit at the institution that provided the open courseware, but open course providers are reluctant to offer any sort of accreditation. Administrators insist that these programs are designed to help with the University’s goal of disseminating knowledge, but are in no way meant to serve as a duplicate to a Yale or MIT education. 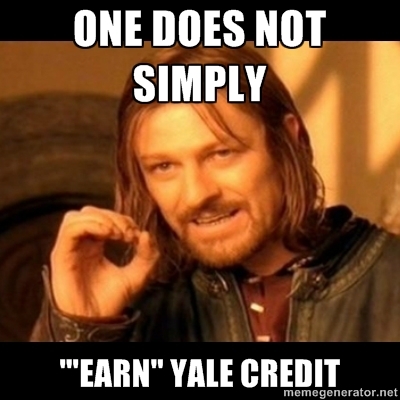 As a student at Yale, I would have to agree with the administration of OYC that credit at the provider institution would be unearned. The course material is an important part of a Yale education, but in no way is it the only part. For example, students who learn via open courseware are able to view videos of lectures and complete assignments, but it would be nigh on impossible for professors to grade and provide feedback for the millions of people that are viewing the courses. 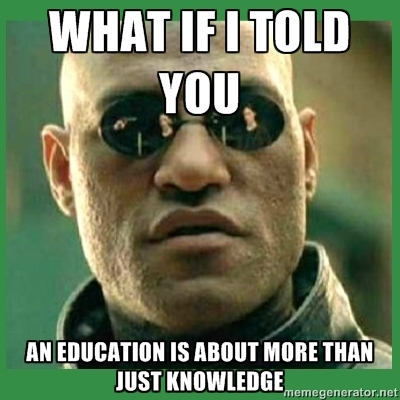 Furthermore, an education at an elite institution is about more than just the knowledge you acquire in class. A degree from an institution such as Yale or MIT signifies not only that you are extremely knowledgeable in your field of study, but also that you have spent 4 years cultivating a new way of thinking by engaging with some of the brightest professors and students on the planet. This isn’t to say that interaction among peers is impossible via an online course, but it certainly isn’t the same as what you would experience on an elite college campus. This being said, it is still possible that some sort of certificate could be presented to those users who demonstrate an adequate knowledge of the subject via an online test (that could feasibly be graded electronically), but the value of this certificate would have to be decided by potential employers. It wouldn’t be the same as a degree earned at an old-fashioned brick-and-mortar institution, but someone who had already proved their aptitude in, say, applied mathematics, would certainly be more valuable than someone who hadn’t done so. And when you consider the possibilities of open courseware in the developing world it once again seems worthy of high praise. With the high cost of textbooks and the added cost of transportation of those textbooks it seems unreasonable to even suggest transporting small libraries to the developing world, much hiring world-renowned staff to go give lectures there. However, open courseware makes a similar reality much more plausible. 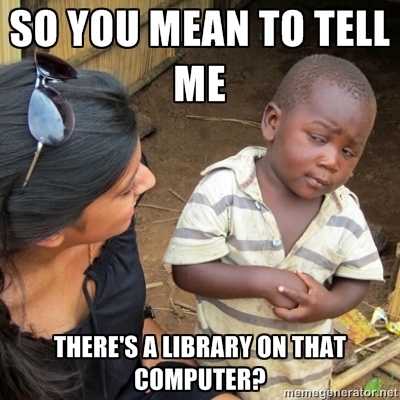 Rather than purchasing hundreds or thousands of books, schools in the developing world could instead purchase a small handful of computers for a fraction of the cost. These computers could support satellite internet connections and thus circumvent the need for infrastructure improvements. Most open courseware was created in English, but many open courseware resources are being translated into multiple languages, so it is likely that students will be able to learn in their native tongue before long. Furthermore, exposure to computer technology is likely to be instrumental in helping developing countries establish themselves in the developed world. So maybe open courseware isn’t ready to completely replace brick-and-mortar institutions, but in the coming decades, it will certainly play an important role in equalizing access to education for people across the globe.